There is an epidemic of elbow injuries in youth baseball. As an Orthopedic Surgeon who focuses on Sports Medicine it is frightening to see the increase in the number of young players undergoing Tommy John surgery to reconstruct the ulnar collateral ligament. Tommy John surgery, or ulnar collateral ligament reconstruction (UCL) is a procedure in where a healthy tendon extracted from an arm or leg is used to replace an arm’s torn ligament. The healthy tendon is threaded through holes drilled into the bone above and below the elbow. The fact is that pitchers are throwing faster than ever, oftentimes year-round and they start training at a younger age. Locker room gossip and chatter in the grand stands has it that players will come back stronger and throw faster after surgery. The data refutes this. If there is any improvement, it is attributed to improved mechanics and strength from the physical therapy not the surgery. A recent study of major league players revealed that they all lost velocity after ulnar collateral ligament reconstruction. As the fatigue from throwing sets in the stress on the UCL increase until it ruptures, sometimes with a ‘pop’. This is an injury to avoid as it will keep you off the mound for about a year. Rehabilitation takes at least 12 months for a pitcher and a minimum of 6 months for position players. In the spring of 2014 it was estimated that 1/3of major league pitchers have undergone this surgery. Adhering to suggested pitch counts is presently the best way to keep your elbow healthy. A good source for recommended pitch counts is www.STOPSportsInjuries.org. Most leagues will also have required or recommended pitch counts. 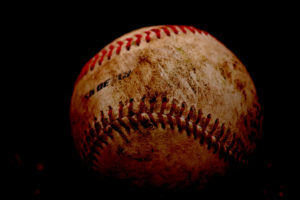 Even high school baseballs national governing body mandates a pitch count, www.baseballamerica.com. Proper training, including rest and nutrition are better ways to keep your player in the game. Tommy John surgery might sound like an alluring cure for a sore elbow but when factor in the success rate and the down time for recovery, UCL reconstruction is a surgery to avoid.